Twitter is an amazing place to start a conversation. Why? Because it’s so easy to get a response and gain followers! First, follow @idrive_live. Then reply, retweet and mention @idrive_live to stay in the conversation and spread the iDrive movement! Reply to @idrive_live tweets about current events adding your own thoughts. Retweet @idrive_live on your own Twitter feed. Mention @idrive_live in relevant Twitter conversations. 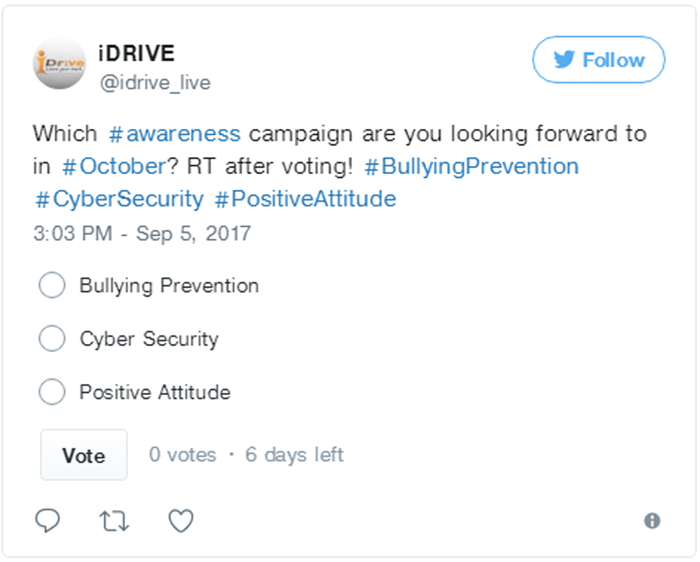 iDrive uses Twitter to take polls and to share the latest current events. 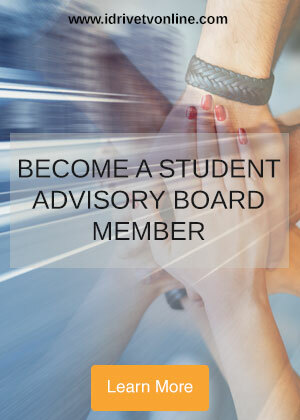 The iDrive Student Advisory Board will also use Twitter to ask Agents like you to voice thoughts and opinions on issues like cyber bullying or the gender gap in STEM (Science, Technology Engineering and Math). So, follow iDrive on Twitter @idrive_live to stay in the loop with what’s happening in the iDrive community. Tweet, re-tweet and reply in the iDrive Twitter conversation. Direct Message @idrive_live your social campaign ideas on Twitter. Inspire other iDrive by sharing ways that you are making a positive impact in your community and tag or mention @idrive_live.